Each year, Diamond Comic Distributors hosts the Diamond GEM Awards to recognize “vendors, titles, and products that have been instrumental in helping their businesses grow over the past year,” said Diamond President & CEO Steve Geppi. 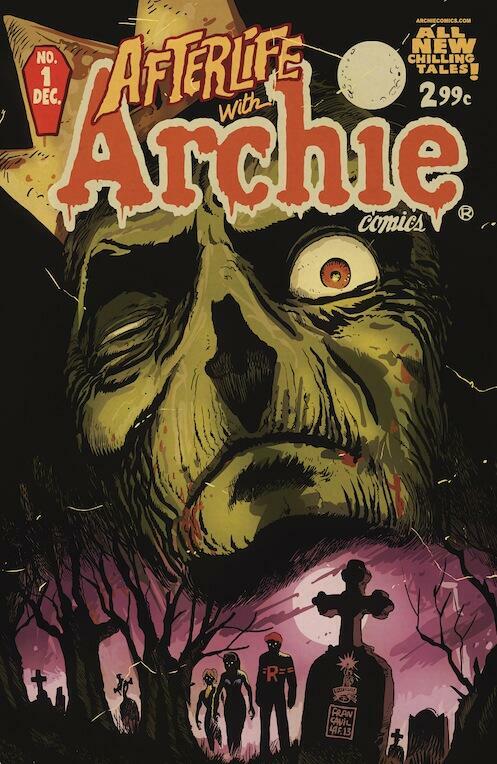 This year, we’re proud to announce that Afterlife With Archie #1 has won in the category of 2013 Comic Book of the Year, Under $3.00. News of the win has been picked up by Bleeding Cool, Comic Book Resources, Digital Spy, Newsarama and more. We’d like to take this moment to thank the creative team behind this masterful comic, the fans who facilitated not one, but THREE sold out issues, and the enormous support of comic retailers everywhere. And thank you again to Diamond for awarding us for this monumental achievement.